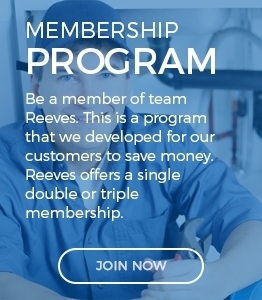 About Reeves Plumbing & Heating Co.
Reeves Plumbing – Family Owned and Operated Reeves Plumbing & Heating was founded by Richard Reeves of Erie, PA who was born in New Jersey and lived in New York City until the age of 12. Richard then moved to Troy, PA and worked on a farm milking cows & bailing hay until 18 years of age. Soon after he became a welder at GE for 10 years. Rick then got a job under a local plumber and soon after signed up for his apprenticeship because he know this would be the career for him. 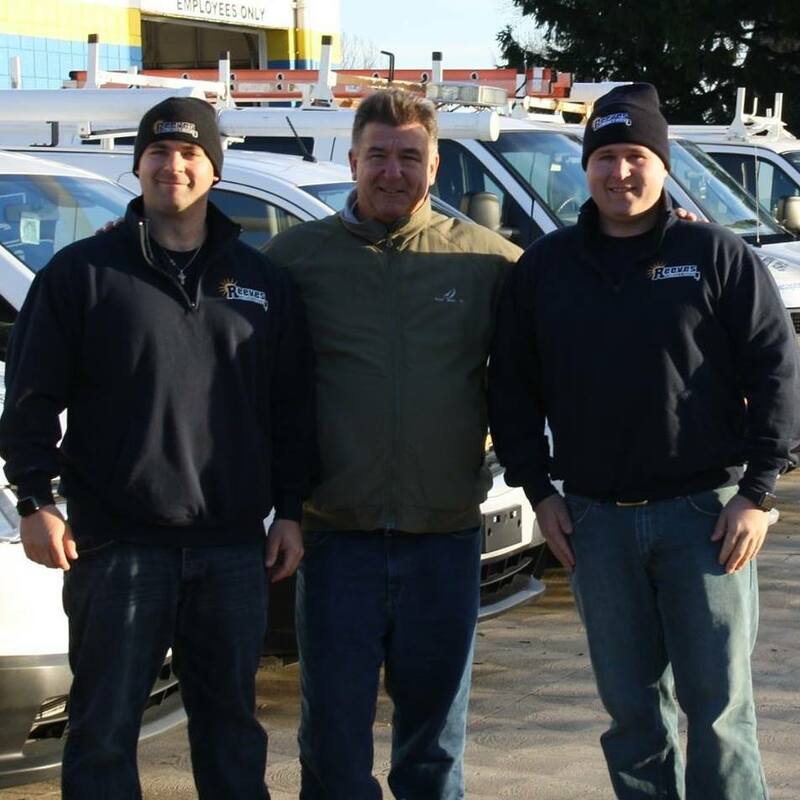 Under this local plumber he served for fourteen years before getting his master plumbers license and starting his own company, Reeves Plumbing & Heating Co.
Rick continued to work hard and put 3 kids through catholic grade school and two boys at Cathedral Prep. Reeves Plumbing & Heating is family owned and operated and strives to produce the best quality of plumbing heating and air-conditioning services in the entire area. Reeves also gives back to the community by doing all of the plumbing for Habitat for Humanity. We do roughly two houses a year and feel it is the least we can do for our neighbors. From hard work and dedication our company has grown to the leading Plumbing & Heating company in our area. Reeves Plumbing & Heating Co. offers emergency plumbing and HVAC services. We know that you can have a emergency anytime of the day. We will answer our phone 24/7 365 no exceptions. We do this because when you have a water leak or a sewer backup it can get very expensive to do the restoration part of the emergency. Timing is everything, the quicker you as the customer responds to the problem, the cheaper it will be to restore your home to working order. Reeves Plumbing $ Heating co. will always be here for and and ready to handle any problem day or night! This is where it all began. We now are the leading plumber and HVAC service company in this area. we strive for perfection and have grown over the years with this motto. We take pride in our work and our company as a whole. Call today (814)459-0004! We have expanded our business to the Cleveland, Ohio area. We want to bring our work ethic and great service to this area. We know that we can deliver a great service to our customers and we know that they will continue to call us if we do a great job! We offer the same services in this location. Don’t hesitate call today! (440)701-4543 or (216)258-0424. Reeves Plumbing & Heating Co. provides the best service in the plumbing, heating, cooling and drain cleaning trade to the areas we serve. We do this by always learning and always evolving in a way that surpasses our competitors.